The Zebra LP 2824 and TLP 2824 desktop thermal printers boast surprisingly compact footprints without compromising performance or value. With a 2-inch print width, the Zebra 2824 label printer offers a multitude of user-friendly and innovative features, all packed into a small but sturdy double-walled casing. Whenever this scenario occurs you need to check your alignment or paper/size selection. A series of labels will feed out of the printer after they are done open up your printer and roll back the labels. Close the lid and feed one label to ensure proper feed alignment. Try printing your document again to see if the alignment has been corrected. In the Printing Preferences, click on the Options tab. What are some useful commands I can use with my Zebra printer under the printer commands section? There are various commands available with their descriptions available on the Tool tab in Printer Preferences. Why is my Thermal Transfer printer feeding blank labels? Everything is correct. Aug '17: The long running 2824 series is being replaced by the ZD410 series. 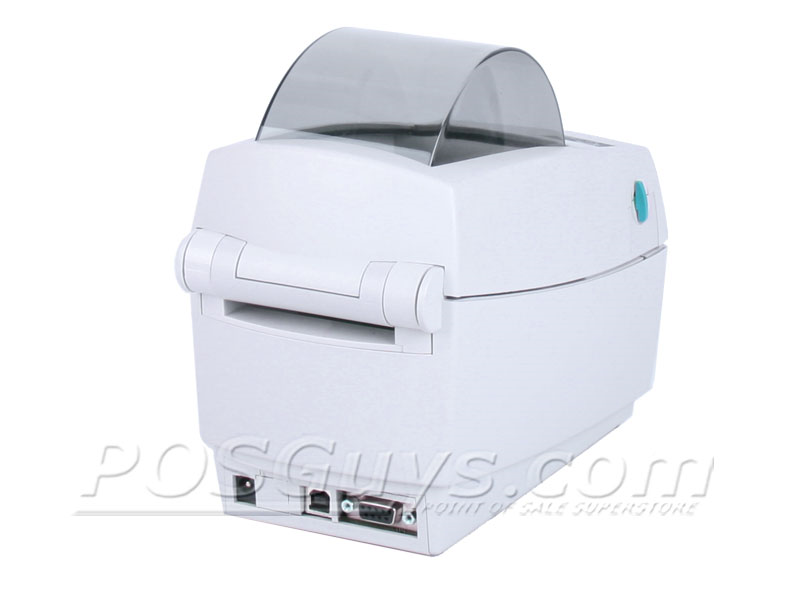 The ZD410 prints faster and is less expensive but only does direct thermal printing. The Thermal Transfer TLP2824 will continue to be produced as long as their is a demand for a 2" thermal transfer printer. 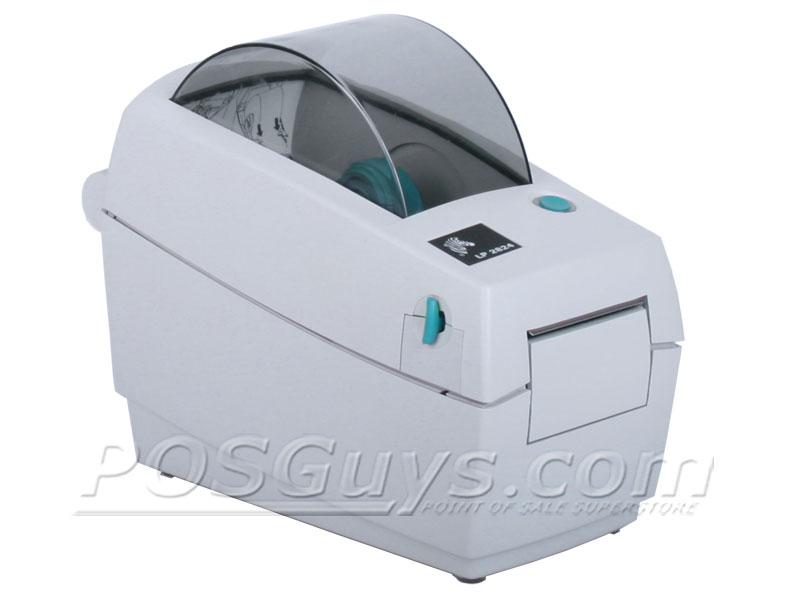 This is the only two inch thermal transfer printer on the market. 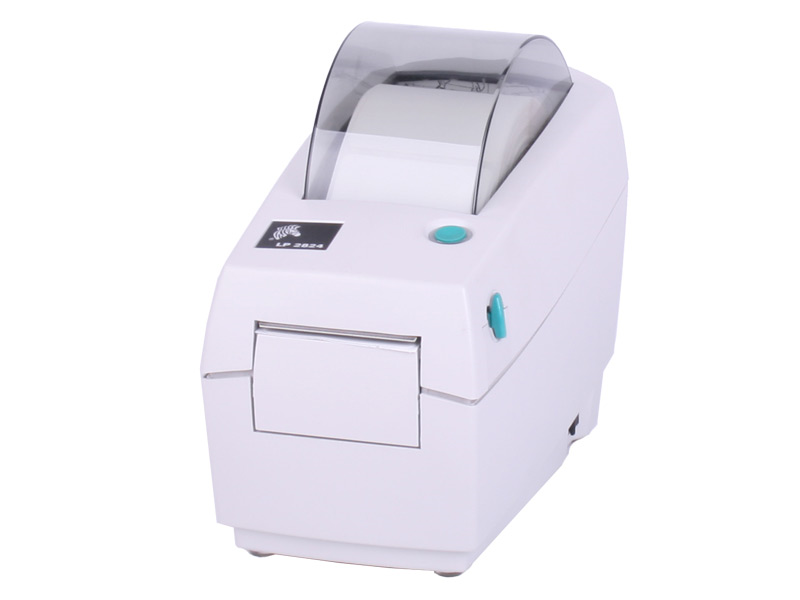 Unless you will be doing thermal transfer printing the ZD410 is the better buy. Original Review: 4/5 Stars The Zebra LP 2824 and TLP 2824 are the printers of choice for many POS Software applications due it their wide range of options and compact sizes. Great for printing low-to-medium volumes of barcode, mailing, or item labels. Find it faster! 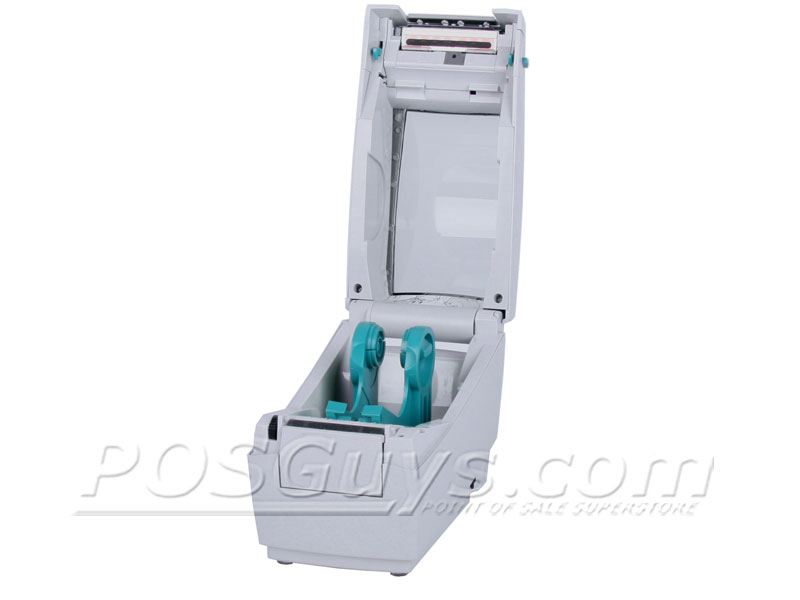 Click here to compare 2824 models by feature. 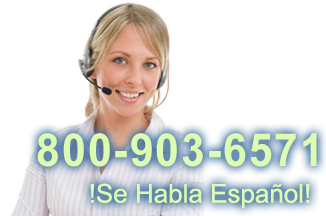 Browse all 2824 models now or call 800.903.6571 for assistance. Hi it's Camille with POSGuys.com. Today we're taking a look at two Zebra barcode printers. We have the LP2824 and the TLP2844. They can both print up to four inches per second, the LP models are direct thermal and the TLPs are thermal transfer and the main differences is the width of the labels they can print so two inches versus four inches. So I'm going to walk you through how to change the media and take a look inside. Just push the button on the left side here. When you push it forward the printer will move up. It locks in place so you can't accidentally snap your fingers inside of it. The LP2824 has the same button on the side pops right open. For your media the barcode label is here. This is a four inch label. This just slides open. Pop it in. Fits on there just like that. You want to slide it into these black notches so that it doesn't slide around when you are printing. You can tighten those down by rotating this dial, right here. Tighten in place right there. It will keep your registration better. Moving on to the 2824. This is a smaller area for your roll. You can pull it open just like that. It goes in the same way as the big one it's just a smaller roll. It just pops on there just like that, I imagine you'd probably have a larger roll than this but it's all I've got right now and then you want to slide it under the notches. You want it to be held in place so your registration is better. Then you just close it up and it's good to go. That is the direct thermal one so it should be ready to print just like that. This one because it is thermal transfer you have to have a ribbon. I'll just show you how to add ribbon. Here is our thermal transfer ribbon. When you get the printer it should come with a take-up roll which if you can see inside there it is that cardboard roll. Don't throw this away. It's that cardboard roll, you need it to take up your ribbon. It just slides around back here and you can slide it in the back I'm beating the ribbon up a little bit but it'll work out. It snaps in place and then you just roll it up and do the same thing in the front. It fits in place a little bit like loading toilet paper. It snaps right in place. Now if you take a look at the side here we have some dials. You can take in the ribbon, it will make sure that your tension is correct so that your printing is going to come out even all the way around and there you have it, you have your thermal transfer ribbon in place. I'm just going to show you an example of the printing on the TLP2844. So File, Print, and we're just going to do one copy on the TLP2844 and we hit print it'll come out down there we're using a demo so it changes the printing on us. Now this is set to one of the slowest settings right now and it's coming out a little bit light. So if when you get the printer it comes out a little bit light and is slow don't get discouraged you can actually change this in the printer settings and I'll show you how to do that. So we're gonna go do the same thing, hit print and then instead of just printing with the default settings we're gonna go to document properties up here, we're going to change the speed, we're going to put it higher and the darkness we're going to go to 14 darkness which is just under the darkest setting. Keep in mind this is going to be different for each type of software like if you have a different software from us then it may look slightly different you may have different options. So now we're just gonna go ahead and hit print and it should definitely come out a lot darker and a lot faster than the last one. You should be able to see the difference there. The barcode is a lot clearer. The black is just a lot darker. We're gonna put the LP2824 through a really fast speed test. So it should print off twenty labels. Twenty labels in no time at all. The two models I have here today are both the original. So the TLP2844 and the LP2844 are both original which mean they EPL programming language. There is a Z-Series available which does ZPL programming language and also a Plus series which does both. Now most barcode labeling programs will handle either or so it's probably not a big deal but if you have custom software that is something you want to think about before purchasing a model. We have ribbons here and I forgot to show you earlier that you can have smaller ribbons on a four inch core. You don't actually have to have a four inch ribbon which will save you some money. For the smaller 2824 if you have the TLP2824 you can actually have a smaller ribbon here. We have a variety of media available on POSGuys.com. We can help you pick out the correct supplies for your printer if you're not sure what to get. The direct thermal printers will of course need direct thermal labels and media so you'll have to get the actual direct thermal paper. The thermal transfer will just have thermal transfer paper which is a little bit cheaper.